Browning High School Students Braylee Crawford, Kaitlyn Sharp, Charro Trombley, Maggie Racine, Chase Hall, and Lauryn Johnson. 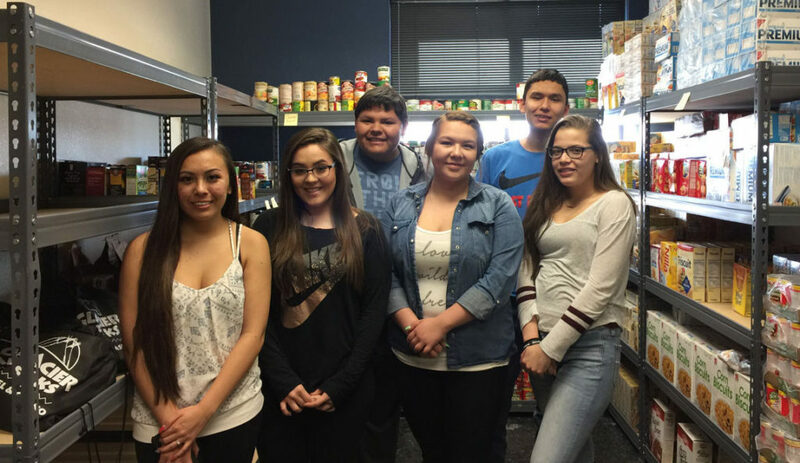 Both of these students were committed to helping their fellow classmates who lacked adequate food staples. Kaitlyn, a senior is a member of the Governor and First Lady’s Youth Leadership Council as well as the student body Vice-President. Charro Trombley is committed to finding new and innovative ways to improve the well being of all students at Browning High School. These two students together with their committee have raised approximately $1150.00. They have planned and completed several canned food / non-perishable food drives.The Food Pantry Committee initiated a district wide program which would allow staff members to make payroll deduction contributions each paycheck, as little as a dollar per paycheck to help sustain the food pantry. S.I. 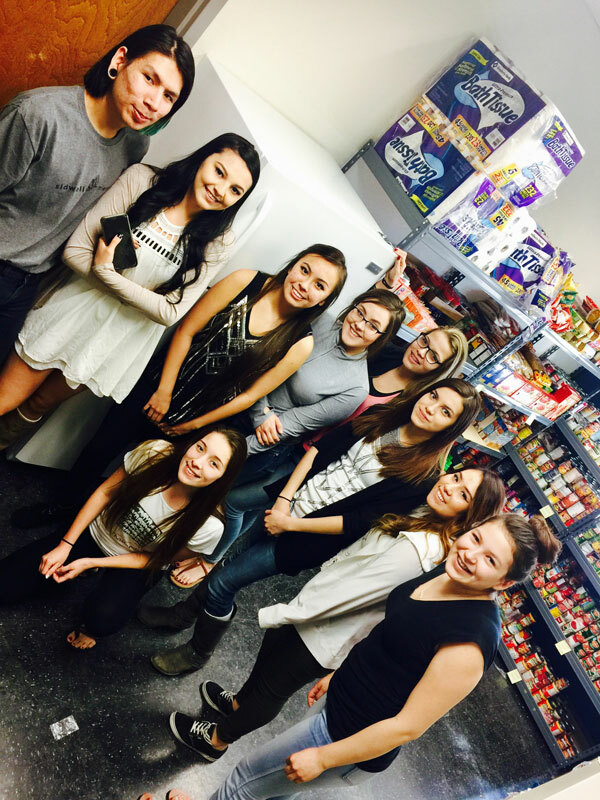 Whitefish recently donated a new 18 cubic ft. refrigerator to the food pantry. This will enable them to stock fresh fruit and vegetables in addition to their other food supplies.